Daniel Cleland is an international entrepreneur, traveller, and author of the book, Pulse of the Jungle: Ayahuasca, Adventures and Social Enterprise in the Amazon. Originating in Walkerton, Ontario, he has spent over a decade globe-trotting and hosting group tours all over Latin America and in the deepest parts of the Amazon to work with traditional indigenous medicine practices. 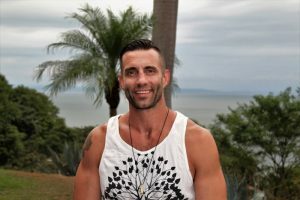 After completing his Master’s of Intercultural and International Communication, Daniel founded the company Pulse Tours, a company operating in Peru which became one of the highest rated shamanic retreat centers in the world before he sold it completely in 2017. In 2014, he produced a documentary called Drinking the Jungle and has just released his second production, The Plant Teacher, which includes a buffet of interviews with some of the world’s leading minds in psychedelic research. Daniel keeps busy hosting his podcast, The Daniel Cleland Experience, which conducts interviews about plant medicines, consciousness, the future and societal/cultural issues of our time, and by developing Soltara, of course. He believes in supporting sustainability initiatives around the world, such as a free solar power installation that he spearheaded for an entire village in the Amazon in 2017, and the work being done by Amazon Rainforest Conservancy, a Canadian NGO wherein Daniel sits as a member of the advisory board. Soltara Healing Center is the natural evolution of Daniel’s skill set, interests, and network, and he’s extremely passionate about the work we do. Follow Daniel Cleland personally on Facebook @pulseofthejungle and on Twitter @pulsedaniel.